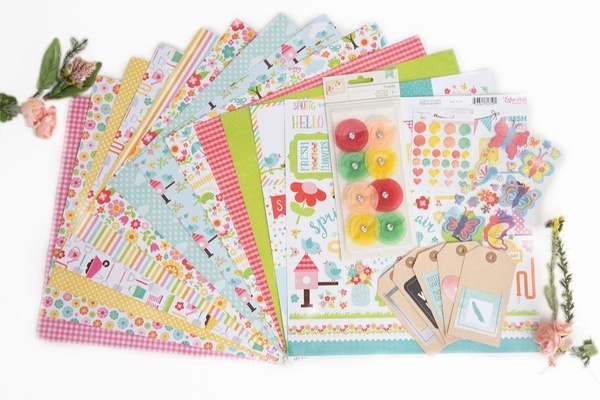 Enter your email address below to receive a notification when Scrapbooking Store starts accepting new sign-ups! 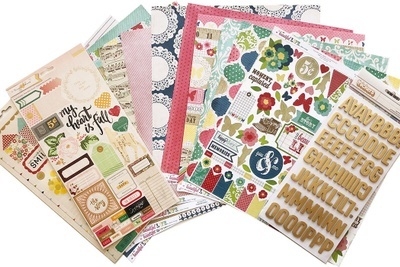 Enter your email address below to receive a notification when Scrapbooking Store is accepting new sign-ups again. Use code MOMSDAY at checkout to get 15% off a 3, 6 or 12-month subscription! Your first box will ship 2 - 3 business days after your order is placed. Please order by the end of the month to get the current box. After your first order ships, we will automatically ship your next box monthly (based on your first order date). 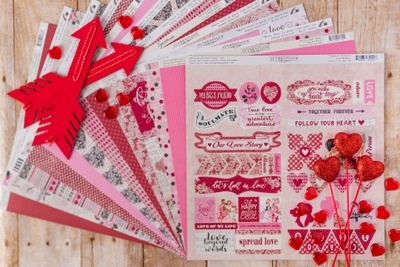 Scrapbooking has never been easier, or more fun! 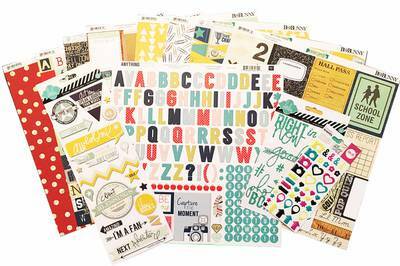 Scrapbooking Store is your "one-stop shop" for all things scrapbooking! 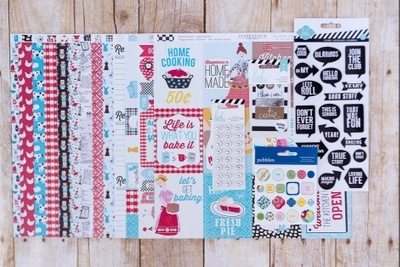 A fun, monthly scrapbooking subscription box that is uniquely designed and hand selected just for scrapbookers. 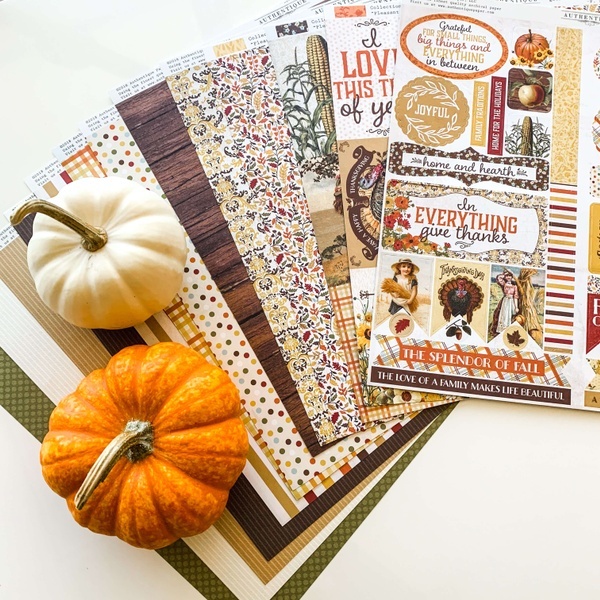 Each month members receive a beautiful, themed scrapbook kit that is filled with all of the items you need to scrapbook until your next kit arrives!. Give your loved one moments of joy and surprise with this unique, memorable gift! The selection of the collection is relevant to the time of year. 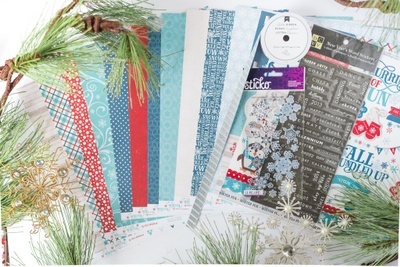 I love this scrapbooking selection. Thank you so much for the kind review Kae! We are so happy you are enjoying your kit. Prompt shipping, quality products and excellent customer service! I did not get as much as what is being shown in the grouping picture. I will wait until my next package comes to make a decision as to whether or not to keep getting the monthly product. 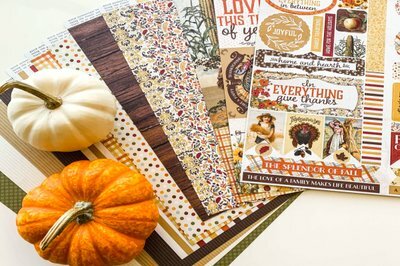 If I get the same quantity/quality as the Thanksgiving set I will be cancelling my subscription as it isn't a good value. We are so sorry to hear you aren't satisfied with the kit you received. We try to be very clear about what is in the kit each month via our website, during the ordering process and in our monthly newsletter. We offer the upgrade package- additional stickers, ribbon and other fun things- for just $7 extra a month and that was offered to you during the ordering process. I apologize if there was confusion. 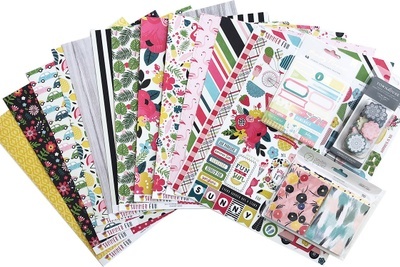 We do pride ourselves on being the best "bang for your buck" scrapbooking subscription on the market, and do believe our kit is an amazing deal, especially when you factor in the free shipping! I absolutely love this package. It looks vintage and reminds me of my childhood. It’s going to look great in my Halloween scrapbook. Thank you very much. Thanks so much for your great review! We also love the vintage look of the Halloween kit. 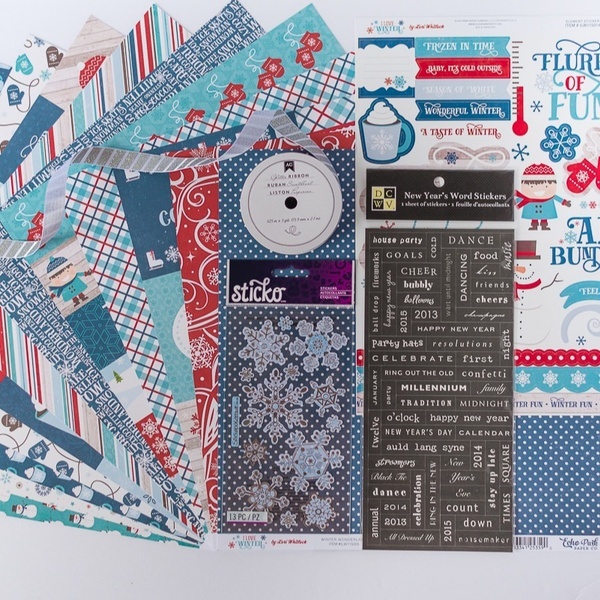 We are so glad you are enjoying our kits and thanks for being part of our community. The amount received does not justify the price. I found a similar set for almost $3 less and contained more items. One more month..if it is the same, i will cancel. We are sorry to hear you are dissatisfied with our kits. We take pride in trying to offer beautiful kits at the most reasonable price point as possible and this even includes free shipping for the customer at our expense. I see that you already cancelled your subscription but I do wish you'd give us another shot. We strive to ensure our customers are happy so please don't hesitate to reach out and I can see what we can do for you. This is going in my scrapbook I made about my husband &I. The pages are pinkish colours & the stickers say things like Our story & U&me. Things pertaining to when we met & our love story. 1st box& happy except I've bought these packets for less. Can't wait for Halloween hoping that re is lots of good stuff. Very disappointed and am going to get one more shipment before I cancel. Very old school paper, colors were awful. Hope the next shipment is better. Going to try one more. Just received my September kit! LOVE IT!!!!! The paper quality is 🌟🌟🌟🌟🌟 and the sticker sheet was awesome! Can't wait to use it soon! I plan on using what i got for a trip im taking. Love this box so far. Only wish there was more stickers and the paper wasnt 2 sided. I cant decide which one to use. Hope tip sr more stickers and small stuff like that next time. These were nothing special, in fact, they are barely anything that I will use. I appreciate the summer theme and how that is easy and appeals to many, but my summer is not generally centered in a theme, sadly. I wish I had known or there had been som customization options available. Cool idea, don’t get me wrong, just not my style. Hi Jen, we appreciate your feedback and are sorry to hear that the summer theme for July was not your style. We do our best to bring a variety of styles and designs each month that center around theme yet can still be very versatile. We will take you feedback into consideration when selecting future scrapbooking kits to ensure that they can fit the needs of those that may not be looking for something too "theme-based" or matchy-matchy. 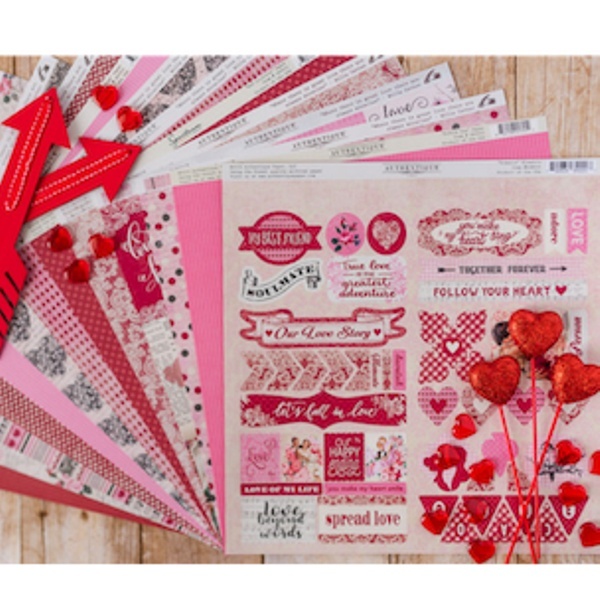 We are glad you are a part of our scrapbooking community and hope you continue to enjoy crafting with us!